Pentart Rust Effect Paint Kit. 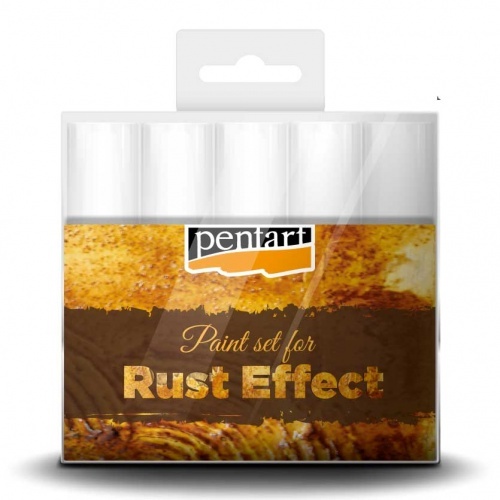 You can create realistic rust effects with the this Rust Effect Paint Kit from Pentart. Apply the paints to your surface, changing shades from light to darker to achieve the required effect. Blur the edges of the paint with a wet brush and then spread the 3D powder to the still wet surface, pushing it into your paint surface with a brush. 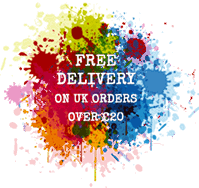 Set contains 4 x 20mls bottles of paint and 1 x 20mls bottle of 3D Powder.